Srinagar: The death toll after a fire in a hotel in New Delhi’s congested Karol Bagh area rose to 17 as rescuers looked for survivors on Tuesday, officials said, prompting the Delhi government to order a probe into the latest incident. “Seventeen people have died and two others have been injured. Most of the people died due to suffocation, reports said. Television news channels said a woman and a child were among the dead, who tried to escape by jumping from a window of the hotel located in the busy shopping area of the Capital. Fire officer Vipin Kental said that two people had jumped off the Hotel Arpit Palace on Gurudwara Road out of panic when the fire broke out. “There was wood panelling on the corridor because of which people couldn’t use the corridors to get out. The two jumped off the building,” Kental said, according to ANI. 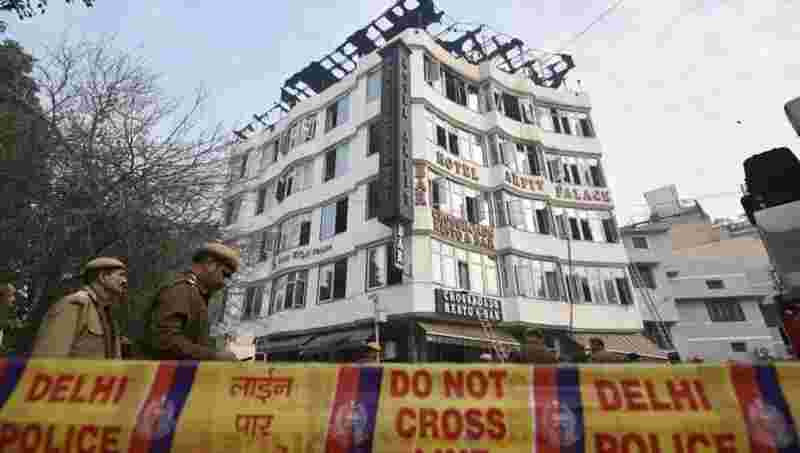 At least 35 people were rescued from the hotel located in the popular shopping district of the national capital, news agency Reuters reported quoting fire brigade official Virendra Singh.